The NLP150L series of 150 Watt ac-dc open-frame power supplies are available with single, triple, or quad outputs. 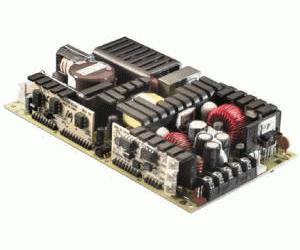 All NLP150L series power supplies are harmonic current corrected to meet the EN61000-3-2 standard and to support current sharing. The power supplies are designed for use in 1U shelves or boxes, and are primarily intended for networking applications that have a heavy logic content, such as access concentrators, midrange routers, LAN switches, and shared media hubs.